I had intended to write about a different topic this week and then I heard about the LeBron James announcement that he was going back to Cleveland and then I read the essay he posted on SI.com. After reading that I decided to switch gears as I was so impressed and moved by what he wrote and how deep this narrative on his decision really is. I have found that life is more interesting when one keeps an open and flexible mind. This can also pay great dividends in investing as well. I have found over the years that my experiences in the world of investing have made me think about wealth and life in deeper ways and how powerful it can be to make important life decisions through the prism of a guiding purpose. LeBron has done just this. He has prioritized coming back home over the instant gratification of immediate championships. He could have stayed in Miami and had a better chance of winning a championship then he will by having gone to Cleveland that has great young talent, but is not ready yet. LeBron’s story fits classically into the Hero’s Journey, described brilliantly by Joseph Campbell in his The Hero with a Thousand Faces. After comparing stories and myths from many cultures over thousands of years, he came to conclude that they typically follow a very common formula that involves the hero Preparing to leave on a journey, encountering Trials along the way, Departing on the journey, and then eventually Returning in triumph. Before a hero goes on an epic quest, there is a period of Preparation and then he must go through various tests and Trials as a form of initiation to prove that he is worthy to depart on his heroic journey. It is during this stage that one learns that he has to let go of so much that he is holding onto that is creating resistance. James was quiet. But the words, uttered by one of the few men who can deliver King James an unpopular message, hit home. Before long in interviews, at his camp, in the mirror, LeBron was saying the exact same thing. James took Paul’s advice to heart and they won back to back championships in Miami the next two years. LeBron’s journey to Miami was vindicated. According to Campbell, there is usually a powerful call for the hero to embark on the journey. I love the analogy that for him going to Miami was like going to college. He left the comfort of home, established his independence, achieved extraordinary success, eventually looked deeply within when it came time to graduate, and decided that it was time to return home..which is the last part of the journey. After the hero completes his journey it is incumbent upon him to Return in order to impart some of the most important lessons learned on the journey. The successful hero retains the wisdom he has gained from the quest and seeks to impart it to others, which is particularly challenging when he finds that most people live inauthentic lives, not living from their true centers and bringing front and center Thoreau’s famous observation that “Most men lead lives of quiet desperation and go to the grave with the song still in them.” Campbell said that it is up to every individual to do all he can to follow his bliss. When one is following his bliss he is able to access and work from his quiet center and pursue that which inspires a sense of wonder and connectedness within him. The hero is one who disregards all of the “Thou shalts” and does what he is meant to do. Anyone can be a hero. You don’t have to have superpowers or save millions from destruction by evil forces or a superstar athlete. One just has to find his purpose and live from that quiet center that such focused living can evoke. It allows one to much more easily separate the signal from the noise. LeBron came to realize that his purpose was to bring back hope and opportunity to his true home, Northeast Ohio. I believe he thinks he can do for Northeast Ohio what Michael Dell did for Austin or Bill Gates and Paul Allen did for Seattle. He can transform it into a magnet for talented and vibrant people to create a dynamic and growing economy so that its best and brightest can stay unlike what has been the case in the past. He can also take on the role of leader and mentor for the very young and talented Cavaliers team. Instead of trying to equal or exceed Michael Jordan’s six championships, LeBron has now traded in the desire for more and more for climbing the very steep mountain to achieve just one for Cleveland so they can taste something they’ve never experienced. I can’t help but think of the Cat Stevens song, Father and Son, when I reflect on LeBron’s journey. The song is a “dialogue” between the older, calmer, more wise father and the son who is very excitable and clearly has issues with his father and believes he doesn’t understand him. He believes he has no choice but to leave. He needs to find himself and his unique path without feeling the burden of his father’s shadow. Although the tirade by the Cavaliers owner Dan Gilbert after LeBron made his announcement that he was leaving was ridiculously immature and unprofessional, in many ways he was trying to convey a similar message to LeBron like the father in the song. 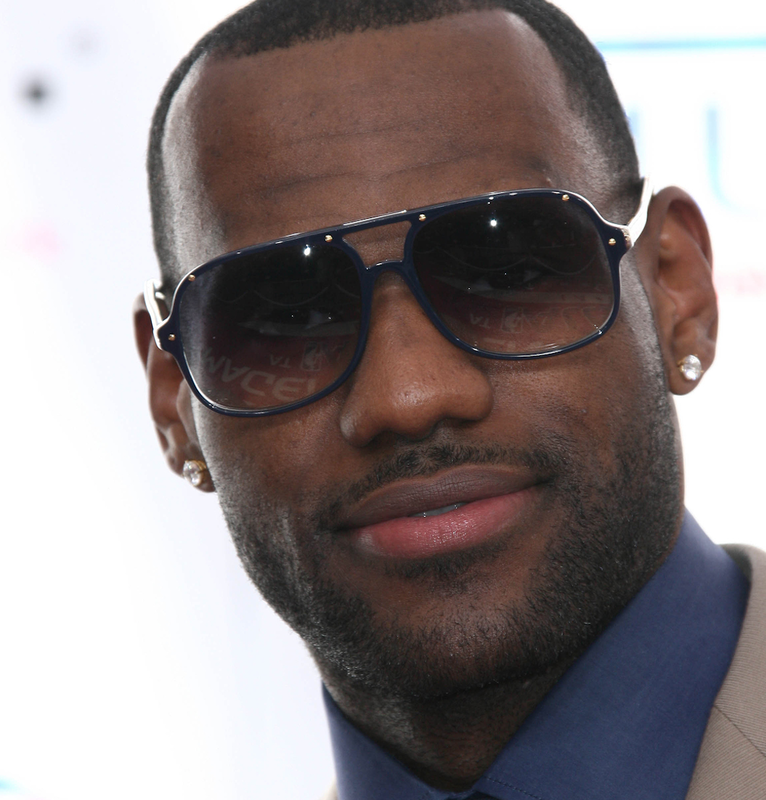 In terms of behavior the roles were reversed with Gilbert acting like the child and LeBron the father, but with regard to the messages, they were similar. Gilbert was telling LeBron to not be so hasty, think about it, Cleveland offers so much to you while LeBron was telling Gilbert that he just doesn’t listen to him and what he truly needs and that Cleveland is becoming too much of a burden and he needs to leave.Think of Gilbert as the father and James as the son as you read the lyrics. LeBron left, did what he had to do, and now he has told Miami that it is now time for him to leave once again, for the last time, so he can return home and complete his hero’s journey. In my personal definition of wealth LeBron has shown how wealthy he truly is. He had the willingness to look deep within to see where he made mistakes and what he could do to avoid repeating them in the future. I believe he showed this by the way he handled the decision to return to Cleveland and how differently it was done from the hoopla that surrounded the first decision. He also showed the courage to make a big change to go after what he really wanted: championships. He did this by moving to Miami despite the risk and pain he would cause his loyal cadre of fans in Cleveland. Finally, he realized that after reaching the summit he now has a higher purpose, which has called him back home. I would say that LeBron James is an extraordinarily wealthy person. Well done LeBron. Keep following your bliss.